Diptyque was as much of a niche pioneer in its time as L’Artisan Parfumeur – it was founded even earlier, in the 1960s – with many innovations setting it apart from the dominant model of the time. An integrated fine and home fragrance collection, for one; but also storylines for the fine fragrances that sprung not from the extension of a male or female persona, but from the owners’ personal memories, from times and places rather than Paris style. L’Ombre dans l’eau came from Dido Merwin, the house’s English pot-pourri maker, who smelled her hands after picking blackcurrant for jam and roses for bouquets in her garden. Philosykos reminded co-founders Desmond Knox-Leet and Yves Coueslant of a summer holiday on a Greek island. Do Son was the latter’s tribute to the flowers in the pagodas of Ha Long Bay he remembered from his childhood in Indochina. Though no longer owned by the founding trio, Diptyque has drawn once more from their wealth of stories with Volutes, inspired by Yves Coueslant’s memories of crossing from Marseille to Saigon and smelling the Egyptian cigarettes smoked by glamorous female passengers. The project originated a decade ago, explains Fabrice Pellegrin of Firmenich, a frequent collaborator of Diptyque (Do Son, Eau de Lierre, Eau Duelle; Eau Rose…), and was revived a couple of years back, both because the house had no oriental fragrance and because tobacco is still quite a rare note in perfumery. One may suspect linking a new product with the Diptyque saga can’t hurt either: there seems to be an undercurrent of nostalgia in niche right now with several new fragrances referencing bygone eras (Frapin Speakeasy, Arquiste Boutonnière, etc..), and with its 85-year-old co-founder’s exotic past, Diptyque is more legitimate than most in that respect: he lived to smell the era. The name Volutes refers to the curled tendrils of tobacco smoke. Two types of tobacco were used for the accord: a Nature Print (headspace) capture of Le Khédive Egyptian cigarettes, based around a tobacco absolute which Pellegrin describes as “black, bitter, acrid, smoky, almost leathery”, and an Amsterdamer pipe tobacco accord, “honeyed, floral, dried fruit and floral”. To tone down the masculine aspect of the tobacco since Diptyque fragrances are never gendered, the perfumer added a note not present in the story, iris, “which brings unctuousness”. Volutes, like Do Son, Philosykos and L’Ombre dans l’eau, is presented in both eau de toilette and eau de parfum: along with concentrations (10 and 16% in this case), the formulas are slightly different. 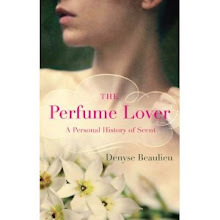 The eau de parfum, again according to its author, has stronger iris, spices, styrax, balsamic, immortelle and musk facets. I honestly don’t find a considerable difference between them: the eau de toilette is perhaps more luminous and veil-like, with a cooler iris feel to it contrasting with the warm, almost fatty honeyed tobacco accord that stars in both versions. The iris is neither rooty nor metallic; a hefty cocktail of five different musks draw it into the honeyed tobacco, while both the suede facet of iris and the leathery side of tobacco bond it with an underlying tarriness, more pronounced in the eau de parfum. Neither is a high-volume fragrance – though it may be that, as is the case with certain iris scents like Cartier’s L’Heure Promise, that I become “desensitized” to the smell over the hours. But I fell in love with Volutes from the outset: the balance between the two main accords is exquisite, unfurling a low-key, confident sensuousness that just feels utterly right. The kind of fragrance you reach for without over-thinking, not because it’s a simple “smell-good-feel-good” – it’s far too sophisticated for that – but because its elegant non-gendered aura wears so smoothly. Please contact me at graindemusc at gmail dot com to give me your address. The upper illustration was produced for Volutes and provided by Diptyque. Please open it for a better view! This sounds great - tobacco and iris together, rather unusual. Looking forward to trying it when released. Michael, it's an unusual combination but it works perfectly, I think through their common leather facets. This is such a beautifully written review. You make Volutes sound very intoxicating.By your description Volutes appears to have a more nocturnal feel than another marvelous tobacco scent from earlier this year - Pohadka. 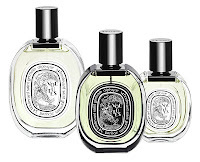 BTW did you come across the last Diptyque release Eau Mage ?. I thought it was utterly bizzare for a Diptyque, more like a comme des garcons. Chris, I wouldn't call Volutes more nocturnal than Pohadka, but it's more facetted and less of a "solinote". And no, I haven't tested Eau Mage - I've only recently started catching up again with Diptyque. Very much looking forward to trying this! I've enjoyed several tobacco scents, including BK Back to Black, YU Pohadka, and testing Puredistance M yesterday, I thought is smelled as if someone had layered Egoiste and Back to Black and decided to turn that into something ineffably Viennese and expensive. I wonder if the interest in tobacco comes from post-smoking nostalgia or a craving for deep naturals to replace oakmoss and other restricted notes? Nozknoz, I go back and forth on Pure Distance M, loved it on the first sniff, then wasn't so sure after further tests... But haven't given it proper attention, so can't decide yet. I think the tiny uptick in tobacco notes is due to both things: a kind of nostalgic forbidden thrill, and a replacement to deep notes like oakmoss or certain leather-smelling raw materials now restricted or banned. It's also an alternative to the ubiquitous patchouli. Denyse, I liked Puredistance I and M at first sniff, but at that price point I really must make full use of my samples, and also try other contenders like Volutes, before making a decision. Nozknoz, I think the evolution of perfume styles came much before generalized smoking bans in the West. 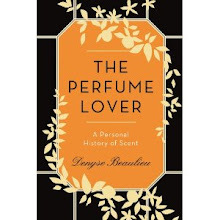 As for a more acute sense of smell, I know when I've brought this up with perfumers they've disputed it, and I seem to remember someone mentioning (was it Luca?) smoking causes olfactory perceptions to actually linger *longer*. At any rate, I've seen more than one perfumer on a cigarette break! But of course anyone who's stepped into a pub, a bar or a nightclub will have noticed how the lack of cigarette smokes brings out a whole range of unsavory odors previously covered by it. So that certainly influences perceptions of fragrances. Lastly: the tobacco note has little to do with the smell of cigarette smoke, so even if the *idea* of tobacco may give a frisson, in a fragrance it wouldn't directly act as a reminder of a smoke-saturated environment, I think. Denyse, you're right, of course, the tobacco note is very different from cigarette smoke, and I guess if smoking and a smoky environment affected the nose too adversely we wouldn't have any of the classics. Nozknoz, it doesn't seem to be affecting perfumers now either -- here in France smoking is still not the ultimate taboo, so lots of people do, including, as I said about, quite a few perfumers. Looking forward to trying this one: a new Diptyque is always something worth smelling. Iris-tobacco sounds great ( anything like Felanilla? ) Not sure what to make of the Egyptian cigarette headspace, though, as Egyptian cigarettes smelled fairly ordinary while I was there. Shisha smoke is pretty distinctive, however. I could never link Calice's Back To Black with real tobacco until I smelled the cafes there. Sugandaraja, someone brought Felanilla up on the French side, but though not unrelated, the PG has a "silver-spoon" and cool vanilla effect not present in Volutes. From Alexandria I remember Cleopatra cigarettes (nothing to write home about, and let's not get started on the Cuvée des Ptolémées wine), but Fabrice Pellegrin mentioned Le Khédive. And I did smoke shisha on the Corniche... delicious. Thanks to Katie Puckrick I found your lovely blog. 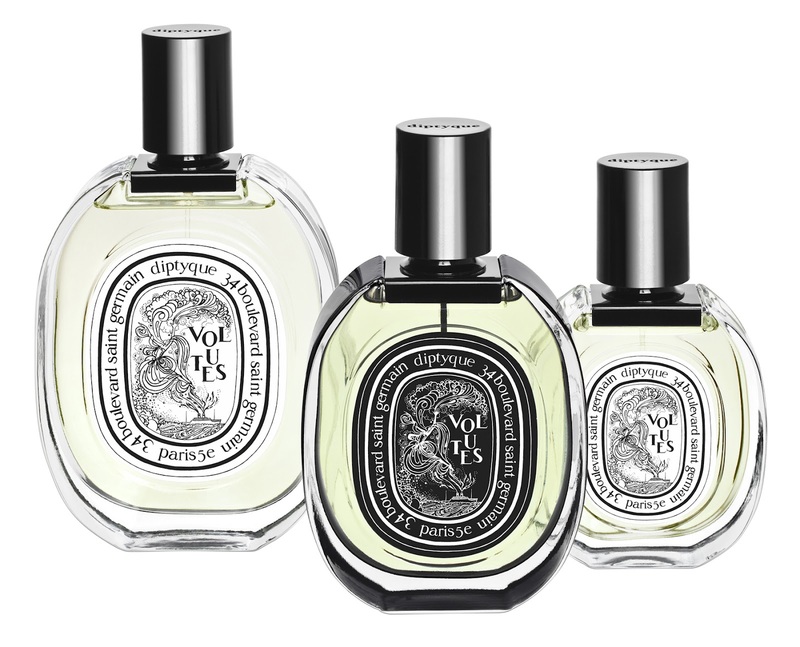 And I read this review with great interest since I am going to the preview party for Volutes at the Diptyque boutique here in San Francisco next week. I can hardly wait. Thank you for a great review. Lanier, another thing to be grateful to the lovely Katie for! Especially since it made me discover *your* blog too. Love the vintage movie pictures, I'll dig in further! Thank you! How very kind you are. Old movies and classic perfumes (and some new ones) seem to go together. Have fun digging!